★ The dress will be made as to your measurement. Pleae refer to our measuring instruction. To ensure a proper fit, please make sure you take measurement with only underwear on. Normally I need about 15-25 days to make a dress depend on season and all dresses will be sent out once completed. It takes about 5-7 days to deliver the packages to the final destinations by DHL. -- Color may be lighter or darker due to the different PC display. 2. The washing maximum temperature 30℃. -- Just feel free to contact us if you have any questions, we'd love to help! Hi, I am Jenny Zhuang, the leader of ChiefLady. 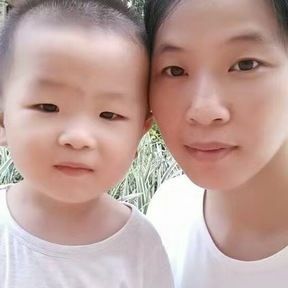 I think many people should know me, because I used to open a shop on ETSY, and get well-known there for the good designs and quality of my dresses. Thanks to ETSY, I get to know many friends who are looking for nice dresses. It is my honor that I can help make many nice dresses for them. And I am so glad to know that my dresses are well received and praised by my friends. Now I have my own website, where my friends and clients can see all the designs and enjoy the fashion of the dresses. My aim is to be your life time dress maker. You have the right to become beautiful and graceful, and honor would be on me if you come to us.